Designed specifically for oval track cars where pit stop time must be kept to a minimum. These kits feature a tapered hood and safety pin to allow quicker alignment and insertion. 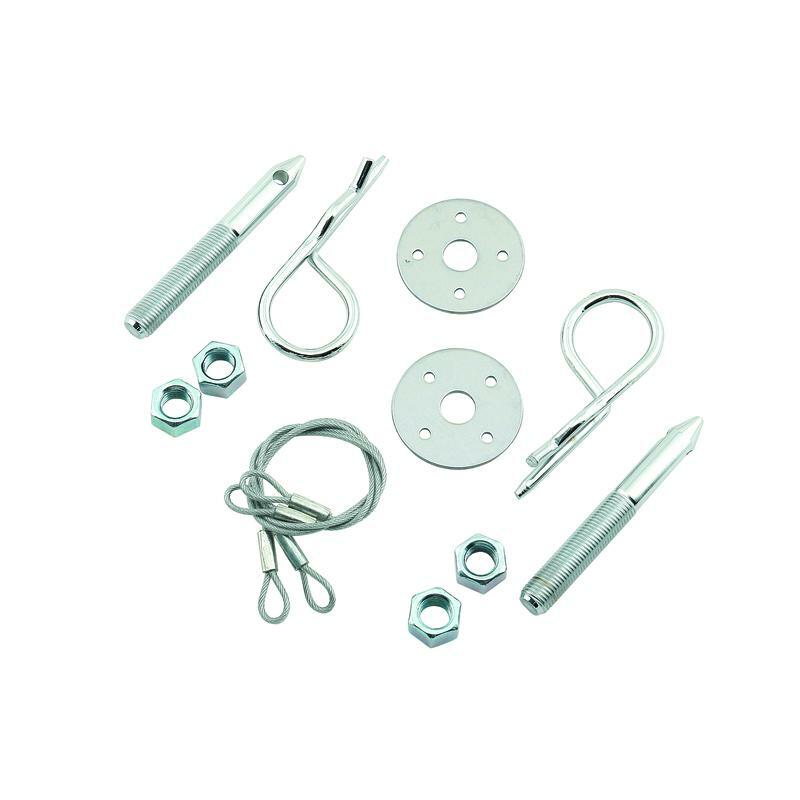 Kits are complete with 3/8 inch diameter chrome plated steel hood pins, 1 1/2 inch diameter stainless steel scuff plates and 10 inch long lanyard cables.